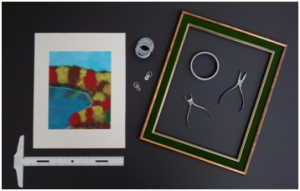 Framing your art with glass and a mat is a framing option used for works on paper, prints, photos and anything that needs to be mounted and protected by the glass. Framing art and photos this way requires using appropriate materials and techniques to ensure the piece is framed properly, securely and attractively. 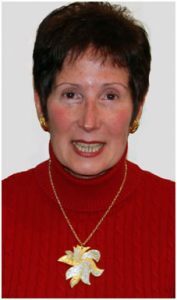 During this 2-hour class, the instructor will demonstrate this framing method on one of her own paintings by using the hinging technique of matting and then completing the framing process by wiring it correctly. After the demonstration, with the instructor’s assistance, the students will mat, frame and wire one of their own pieces. After registering for the class, students will receive e-mail with the list of supplies for the class. Students should register at least a week before class to give themselves enough time to purchase or collect the supplies they will need.